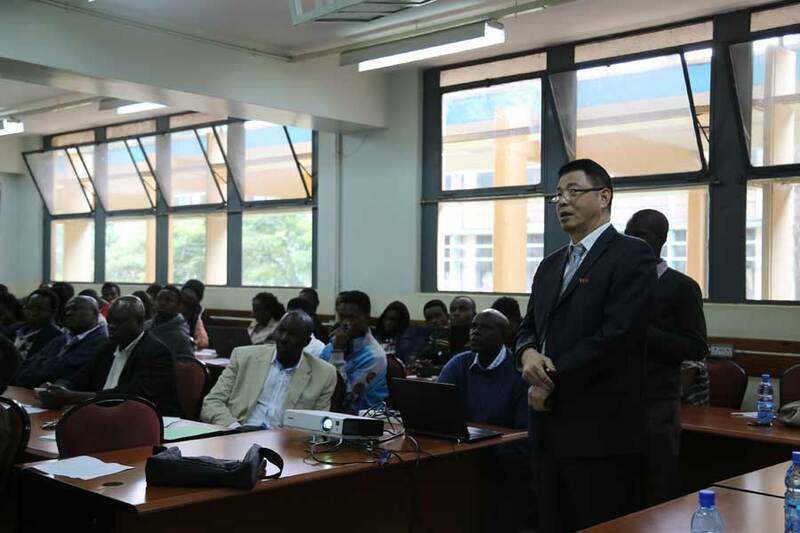 Huaqiao University, a Chinese national university in Xiamen and Quanzhou in Fujian province, and the University of Nairobi, a collegiate research university and one of the largest universities in Kenya, have signed a memorandum of understanding (MoU) to collaborate on various areas. Prof. Patel demonstrating how a photon magnetometer is used in the field. This is a revised M.Sc. Program that aims at providing sufficient basis for specialization in the various distinct areas of Physics as a subject. It captures the strengths of the Department in terms of expertise and infrastructure. The Department has in the past offered courses, which largely produced M.Sc. The first seminar organised by the University of Nairobi Astrophysics Group (UoN-Astro) was held on 29.5.2017 at 11:00 am in the Department of Physics Seminar Room 222.